Divorce Question: Should I Move Out of the House? A divorce can be one of the most trying times in a person’s life. There are already many emotions involved, which can only be heightened if there are children. The experienced attorneys of Spooner and Associates want to help you through this trying and difficult time, providing the necessary knowledge and resources to help you navigate it successfully. Many clients ask us whether or not they should move out of the marital home before a divorce. This can be a very complicated question, with different answers depending on the situation. For example, a major determining factor is whether there are minor children. 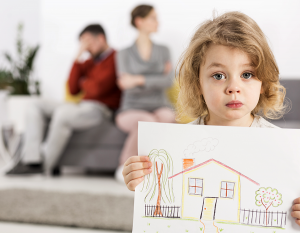 Moving out of the home while the children remain with the other parent can have a serious impact on the outcomes of child custody, both physical and legal, as well as visitation and child support. Other factors involved in the decision to move out of a marital home include: whether the home is owned or rented, who’s name the home is titled under or leased under, who has been paying the financial obligations on the home (including rent, a mortgage, fees, and taxes, and utilities), as well as what each party wants to do with the marital home after the divorce. Finally, and perhaps most importantly, if one party is concerned about domestic violence, leaving the home for safety purposes may supersede all other issues. This is a difficult time, but don’t feel like you have to figure out all the best steps for you and your family on your own. Contact one of our attorneys at 678-714-1131 today. As your legal advocates, we will guide you through this process and help you make the best decisions for yourself, your children, and your family. We are pleased to announce that attorney Scott K. Spooner, founder of Spooner & Associates, PC, has been selected to the 2017 Georgia Super Lawyers list in the area of family law. This is an exclusive list, recognizing no more than five percent of attorneys in the state. Super Lawyers, part of Thomson Reuters, is a research-driven, peer influenced rating service of outstanding lawyers who have attained a high degree of peer recognition and professional achievement. Attorneys are selected from more than 70 practice areas and all firm sizes. For twenty years, Scott K. Spooner has helped people avoid costly missteps when resolving legal disputes. His team of attorneys and staff provides personal attention, efficient problem resolution, resourceful negotiation, and skilled litigation to clients in metro Atlanta and Northeast Georgia. Contact Scott to learn how he and his team can start solving your legal problems today. When faced with divorce, especially when child custody is involved, it can seem impossible to put emotions aside and “play nice.” However, if you are able to do so and be reasonable in your negotiations, you will almost certainly save yourself much financial and emotional stress. This is a marked change from their attitudes earlier in the litigation, where authorities were called to investigate allegations of abuse and it seemed that there was no hope of an amicable, civil resolution between the parties with regards to the custody of their six children. Assuming they can continue to work together in a productive way and maintain a level of civility, they will be able to save money on legal fees. Perhaps more importantly, they will be saving themselves and their children from much unnecessary stress and heartache. When looking for a divorce attorney, it is important to seek a lawyer who will fight for you as hard as it takes, but not someone who will create a fight where none exists. At Spooner & Associates, we pride ourselves on our ability to work with our client and the opposing party towards a resolution that is swift and fair. Call (678) 714-1131 to discuss your current situation with an attorney. It seems the stars of the HGTV show “Flip or Flop” are headed for divorce. For those who do not watch the show, a married couple, one a designer and the other with an investment eye, purchase homes and attempt to profit from the improvements. The couple is a “rags to riches” story, and their fans liked that they seemed to be on solid relationship footing. Unfortunately, the relationship appears to be ending and the husband has filed for divorce. In addition, their show and their joint business are now on the rocks. While most of us are not HGTV stars and are not in the business of buying and selling houses, many divorcing couples own real estate and have their own businesses. These items must be dealt with in a divorce and can be very difficult issues. Even what appears to be simple, as in how to handle the house after divorce, can lead to catastrophic mistakes. For example, a couple may decide that the wife will remain in the home because she is going to be the primary custodian of the children. This may seem to be an easy decision and easily accomplished. What happens, however, if both husband and wife are on the deed and the mortgage? Will the husband remain on both forever? If so, what happens if he wants to purchase another home and can’t qualify due to the mortgage obligation on the marital home? Or, if the wife is late on the mortgage payments and his credit is ruined? Perhaps language will be put in the agreement that the wife will refinance the house. Will she qualify? What happens if she does not? Maybe the couple decides to sell the house. Who picks the agent? How is the list price determined? What if the person remaining in the house doesn’t really want to sell and keeps the house a mess when potential buyers come by? These are all things that have to be considered in a divorce when real estate is involved. Even when the couple are in agreement and work together, outside forces can get in the way. Recall the housing bubble of 2008-2009. Many couples had divorce agreements that never contemplated what would happen if the value of their house declined. It was never even considered that the house would not bring a profit at the sale and there were many problems with these divorce decrees. It is extremely important to have an experienced attorney on your side in this situation. You need an attorney to walk through your options and to protect you from making significant mistakes with your real estate. Don’t “flop” on your divorce. Call Spooner & Associates PC today at (678) 714-1131 for peace of mind. Yes, it was painful to watch. For those of you that did not see it, Mariah Carey turned in one of the most embarrassing performances of the year on New Year’s Eve. The music was wrong, the back-up singers were late, and her earpiece was not working, among many other issues. Was it a disaster because Mariah Carey is not talented? Because money was not spent on the performance? Because the songs were not good? Not likely. The most rational explanation for the poor showing is lack of preparation. In fact, it was reported that they conducted only one short walk-through before it was shown live to millions of people. 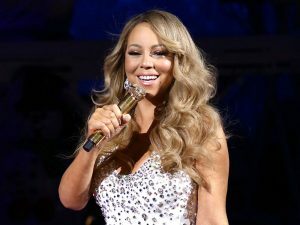 While lack of preparation simply made Mariah look foolish, it can be life altering in a divorce or other legal matter. Like Mariah, an attorney may have talent. You can spend tens of thousands on an attorney’s “performance.” The facts of your case may be excellent. However, an unprepared attorney can cause even the best case to be a disaster. I have witnessed opposing counsel destroy a perfectly good case because they failed to properly prepare themselves and their clients. Don’t let it happen to you. Proper case preparation should start at the very beginning of your work with an attorney (and NOT the night prior to your trial). Your attorney should get a detailed account of the issues in the case from you. Your attorney should request that you gather initial information that is important to your case. For example, in a divorce issue, the attorney should ask for financial information, relevant text messages and emails, contact information for potential witnesses, social media information, and much more (depending on the situation). Your attorney should provide you with regular updates on your case and you should be properly advised for any deposition, hearing, or trial. At Spooner & Associates, we take pride in how we prepare our clients and our cases throughout the legal process. Our attorneys take a very active role in advocating for our clients and keeping them informed. We have a reputation of being prepared and can help you solve your legal problems. Don’t let an attorney turn your case into a “lip-sync” disaster by thinking he or she can win by just showing up and winging it. Be prepared when protecting your rights and contact us or call (678) 714-1131.
Who Gets Physical Custody of the Children After Divorce? When Angelina Jolie filed for divorce from Brad Pitt in a California court recently, she reportedly requested sole physical custody of their six children. If she is successful, Brad’s rights and access to the children could be very limited. While we cannot speculate on the California court’s eventual decision, it is important for divorcing parents to understand their rights in a Georgia divorce involving children. In Georgia, there are two main parts to “custody,” legal custody and physical custody. Legal custody, in a nutshell, simply provides for certain legal rights to the children. For example, will both parents have access to medical records and school records? 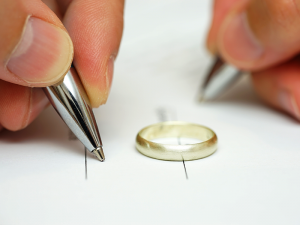 In the vast majority of divorces, joint legal custody is awarded. Again, this means that both parents retain legal rights to the child. Typically, the only portion of legal custody that is debated by the parties involves decision making for the children. Most courts divide the areas of decision making into four categories (religion, extracurricular, schooling, and medical). While most parents agree, and most courts order, that the parties need to discuss these issues, someone has to make the final decision. These categories can be divided between the parents, or it may be that one parent is the final decision maker in all areas. When most people think of “custody,” they mean physical custody. Physical custody is the determination of where the children will live the majority of the time. While there may be numerous terms describing physical custody (sole, primary, joint, secondary), it is more important to look at actual parenting time. In nearly every divorce case with minor children, the Court will require a full schedule for the children to be submitted. The parties, or the court, will need to determine a schedule of when the children will be with each parent. It may be that the children spend alternating weekends with one parent and the majority of the rest of the time with the other parent. Special dates such as holidays, religious days, birthdays, and summer vacation must be considered. If the parents can work out a reasonable schedule that is acceptable to both sides, in most cases, it will be accepted by the Court. If the parties can work together, it is almost always better for the children. Also, even though there is schedule in the divorce order, the parents can agree to deviate from it. For example, if the parents want to switch weekends with the children, and they both agree, they can switch weekends. The custody and visitation order is there for the times when the parents cannot agree. When the parents cannot agree to the physical custody terms in the divorce, the custody battle begins. To protect the children’s interests, the courts may assign the children a lawyer. This guardian ad litem (from Latin, meaning guardian “for the lawsuit”) will speak with the children, visit both parents in their homes, and speak with the children’s counselors or teachers. Also, the parties may involve older children who may want their voices heard. While a custody battle is seldom recommended, there are cases when it is necessary. This can be a lengthy and expensive process, but there are few things more important than the proper determination of custody and visitation for a child. The attorneys of Spooner & Associates can help you with a custody arrangement that is in the best interests of you and your children. While finalizing a bitter custody dispute could take many months, we can help with a temporary custody agreement and protect your right to spend time with your children in the upcoming holiday season. Call our office at (678) 714-1131 to speak with an attorney. If you’ve ever watched local cable television, you know there are a myriad of Georgia accident and injury attorneys that advertise their services. Some advertisements make it sound as if every car accident yields a huge payout from an insurance company. As a 30-second advertisement, this is obviously an oversimplification of insurance and vehicle accident law in Georgia. Of course, as this is a general information article, I am also going to simplify what can be a very complicated field of law. It’s extremely difficult to move on with your life if the auto insurers are not helping you. If you did not cause the accident, you seek assistance from the auto insurance company of the person that hit you. However, sometimes the insurance company that’s not helping you is the same company you’ve been paying monthly premiums to for many years! When insurers are being unreasonable, people can seek legal counsel from a personal injury attorney. 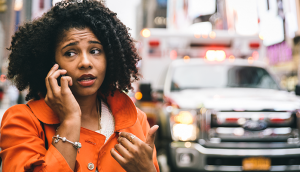 A car accident may involve MANY insurance companies. In a car accident case involving two drivers, there are typically two auto insurers. One is the liability insurer. That is the insurance company of the driver that is liable for causing the accident. The other insurance company is the uninsured motorist carrier. That is your insurance company. The scenario varies if any of the drivers were driving on behalf of a business. Then the business’ insurer is also involved. Additional complications arise when there are multiple vehicles/drivers and the auto insurers deny liability for the accident. Your medical insurance company is also added to the mix, because in Georgia, medical insurers have a right to seek recovery of accident-related medical payments they make on your behalf. Just when you think you have resolved your case, your health insurance company shows up and expects to be reimbursed. It can be a nightmare. People seek legal counsel when they are having difficulty getting a fair settlement from any of the insurers for their property damage and injury claims. Attorneys understand the personal injury and insurance law in Georgia and can negotiate the best possible outcome for you. If negotiations fail, your attorney can file a lawsuit against the liable driver to seek compensation. The liable driver is typically represented in court by an attorney from the auto insurance company. You need your own attorney to represent you. The personal injury attorneys of Spooner & Associates understand Georgia law as it relates to auto insurance claims and will help negotiate compensation for you. Our attorneys know when an insurance company is not acting in good faith on your behalf and will work for your best interests through the Georgia court system. Several times a week, I am contacted by people who did not hire an attorney for representation in their divorce proceedings. These people represented themselves in court (known as appearing pro se) and had their final divorce hearing. Now, AFTER their final hearing, they are not happy with the final divorce order. They want to hire an attorney to help them “appeal” the court’s decision and have their divorce case re-tried. I wish they had contacted me for legal counsel and representation BEFORE their final divorce hearing (especially when children, property, or businesses were involved.) 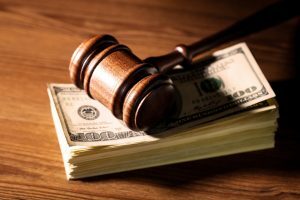 Hiring an attorney for legal advice in a divorce may seem expensive; but with a do-it-yourself divorce, your long-term costs may be even greater! Learn more about the long-term costs of do-it-yourself divorces below. This situation is an unfortunate matter of “save now, but pay later.” Pro se parties may initially save a little on their divorce; however, without the counsel of a family law attorney, pro se parties may be paying too much money (or receiving too little) after the divorce. But the long term cost is measured in more than just dollars. There is also an emotional price tag to the continued disruption and disharmony in the life of your family after a divorce. Don’t count on modifying a bad final divorce order later. In some situations, you can go through the legal process of filing for a modification to an existing order. Unless you can prove to the courts there has been a “substantial change of condition” (i.e., job loss, significant income increase or decrease, relocation, etc. ), you will likely not be successful in getting a modification. In addition, many terms of a divorce order (such as property division, college payments for children, etc.) cannot be modified by the court, except with the agreement of both parties. You could be stuck with a very bad result. Don’t count on a “do-over” with your divorce order. 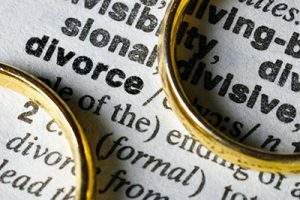 Many times I have heard, “I settled on that term just to get my divorce done” or “I agreed to that custody arrangement because I thought I could change it later.” In many instances, we can change the original order with a modification, but at a greater cost (in money and time) than if the issues had been handled correctly during the divorce. However, in some cases, there is nothing that can be done. For instance, there was a gentleman who did not have an attorney for his divorce. The man agreed to LIFETIME alimony payments in order to get his divorce completed. However, his wife’s attorney included language in the divorce agreement that did not allow for future modification of the alimony payments. The man did not comprehend the unfair alimony terms. He never had an attorney review the divorce agreement before he signed it. So the agreement became a court order. Now this gentleman will have to live with the mistake (regardless of his future income) for the rest of his life. He saved money on his do-it-yourself divorce by not hiring an attorney, but that frugality will cost him thousands of dollars over his lifetime. Would you design and build your own house? Install and adjust your child’s orthodontic appliances? Rebuild your car engine? Probably not. When you retain the professional legal services of a Spooner & Associates family law attorney, the many pieces and parts to a divorce can be anticipated and handled BEFORE the divorce agreement becomes a court order. A skilled family law attorney will help you avoid costly consequences. Call (678) 714-1131 to meet with an attorney and start solving your legal problems today. Name Change in Georgia: Who, What, Where, When and Why? A name change is something that many people may contemplate or decide to undertake at least once in their lifetime, for any number of reasons. While it is a legal process, it is actually one of the most simple and painless to go through—especially when you have the help of an experienced lawyer. 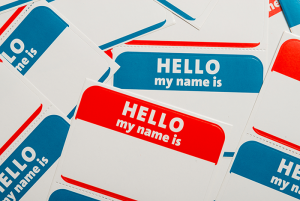 Once you’ve decided a name change is needed, where do you begin? Obtaining a name change in Georgia is fairly straightforward. The process involves filing a petition with the court, publishing a notice in the local newspaper for a period of four consecutive weeks, and finally appearing before a judge to obtain an order changing your name. That order can then be used to order new copies of all of your most important identifying documents, such as your Social Security card, birth certificate and driver’s license. Your name is an important component of your personal identity and changing it is an empowering move which should not be taken lightly. There are specific procedures that go beyond this starting guide to a name change in Georgia, so it’s important to speak with your attorney to make sure that you are following the law. 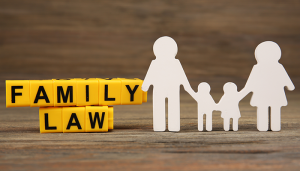 If you are looking for an attorney to guide you through a name change or any other parts of the divorce or adoption process, look no further than the family law attorneys of Spooner & Associates. Call us at (678) 714-1131. When a celebrity couple gets divorced, the details of their settlement often make headlines. Take Antonio Banderas and Melanie Griffith, for example. You may have heard through the grapevine that Mr. Banderas will be paying Ms. Griffith $65,000 per month in alimony, also known as “spousal support”. You may be wondering where on earth that number came from and, certainly if you are contemplating divorce yourself, you are probably wondering what you may be entitled to or required to pay.